SONEX Classic feature a modified anechoic wedge design for cost-effective, yet impressive sound control. The unique geometric shape of the surface pattern on these panels provides optimum deflection of sound waves, making them an excellent choice for recording and broadcast studios. These versatile panels can also be used in listening rooms, restaurants, production areas and other locations where sound absorption is critically important. Panels offer excellent acoustical control across all frequencies with Noise Reduction Coefficients (NRCs) ranging from 0.75 to 0.80. 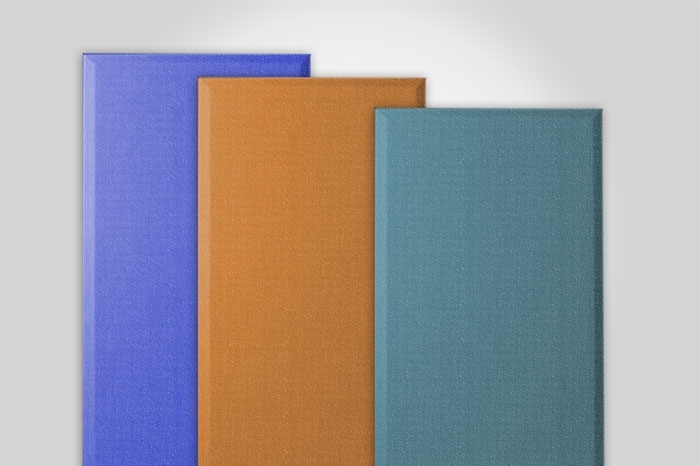 SONEX Classic are available in either natural or painted willtec™ as well as colortec, a process through which the entire thickness of the foam panel is dyed a deep charcoal color. These panels are especially appropriate for rooms with dark decor. Regardless of the finish option, Willtec foam is Class 1 fire-rated according to ASTM E 84 for flame spread and smoke density. Willtec natural and Colortec meet the corner burn test UL 1715. These panels can easily be mounted to any wall or ceiling surface with Privacy Urethane Adhesive. When installing, alternate the male and female patterns for a checkerboard look or install with 1" space between similar adjacent panels.